For many years Matt has been passionate about cooking. 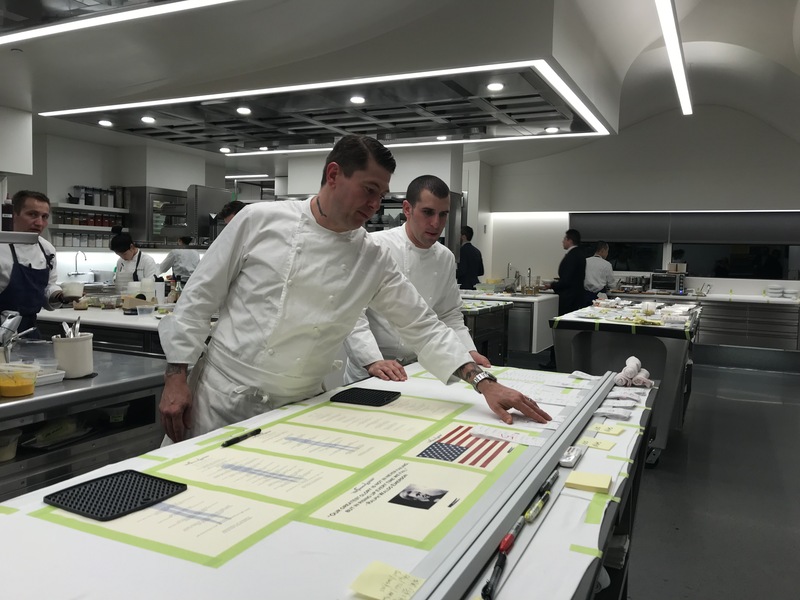 He’s a great cook and has made dishes for friends and family from the cookbooks of those chefs including Thomas Keller. 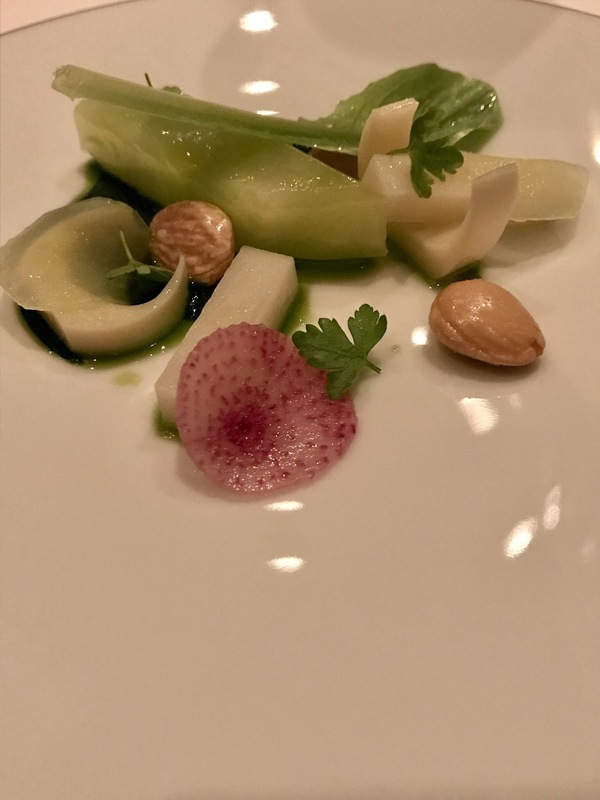 Years ago I’d tried to get reservations to Keller’s most famous and upscale restaurant, The French Laundry, for our anniversary, but it proved impossible. I promised him that someday we would go. Little did Matt know that that someday was only a few short years away. Candy had wanted to take us to the restaurant for his 40th birthday as it was a milestone one. She had thought reservations would be easy to get, having not tried to get one before. 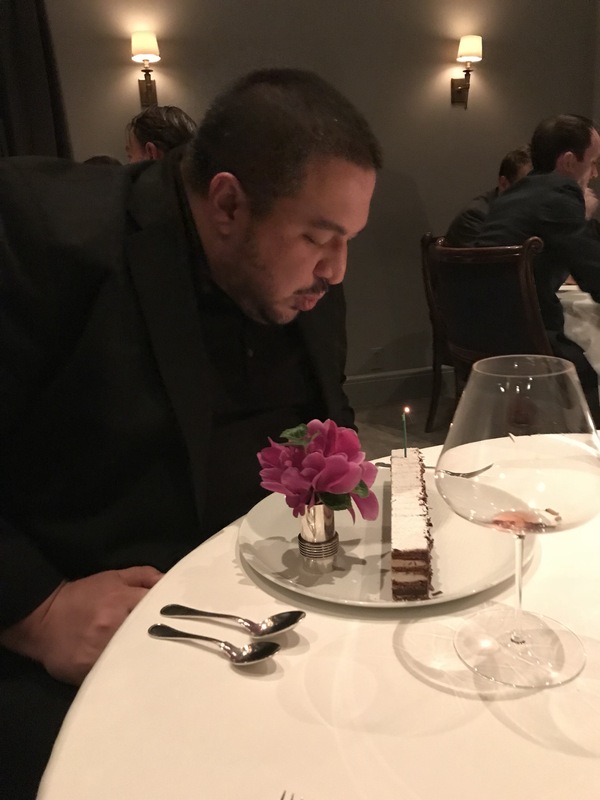 The restaurant was booked solid around his birthday according to their website reservation system. So I called and explained it was Matt’s 40th birthday and that he was a new dad. They were all booked up on weekends, however, if we could do Wednesday at 8 p.m. or Thursday at 5:15 p.m., they could squeeze us in. We booked it! It was lucky that we all had a weekday off to do this. Candy is retired and while Matt normally has the week of Christmas off his company needed everyone to work as they were moving locations. 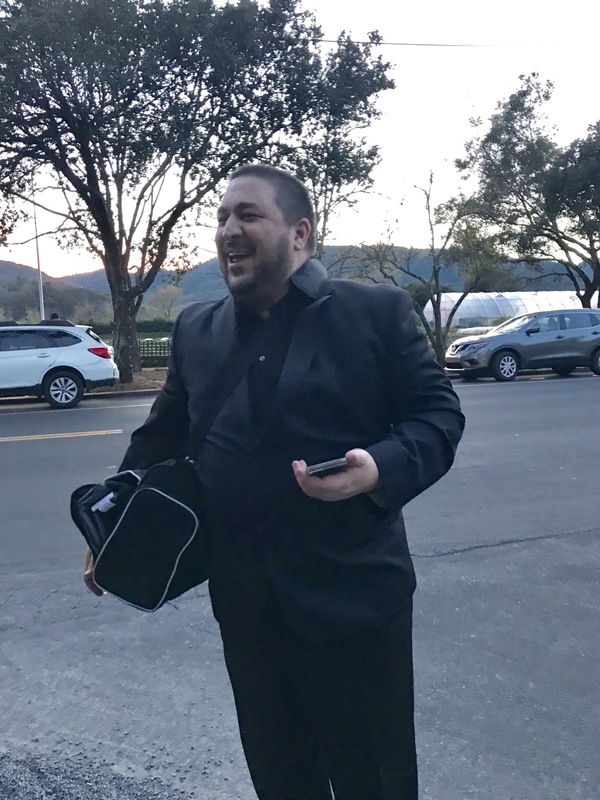 As we needed him to have off for the day he had to request it off, while still working his actual birthday to join us for a mystery location trip – we didn’t even tell him the cities we were visiting till the day before the trip. 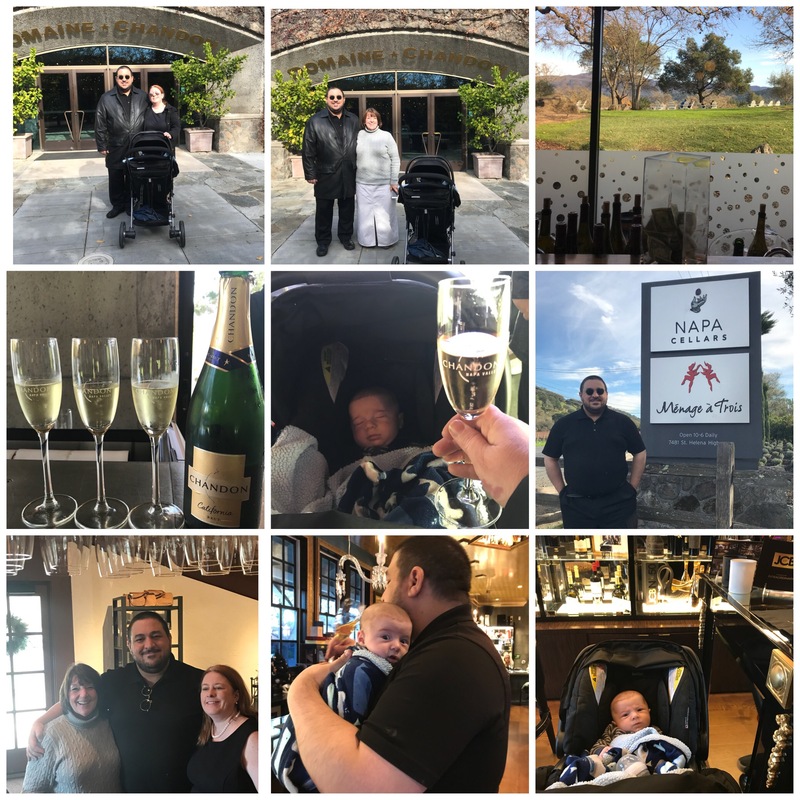 We spent the day in Napa and Yountville wine tasting. Candy had looked up the address of The French Laundry and on the same street within easy walking distance found an Italian place that had been in business for a little over a year. 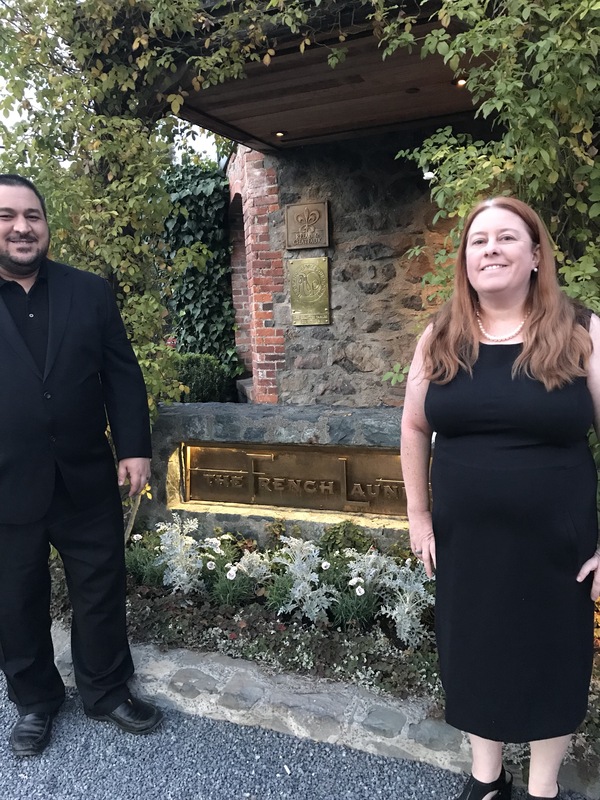 She told him we were going to that place and that she wanted to get our photos taken in front of The French Laundry. 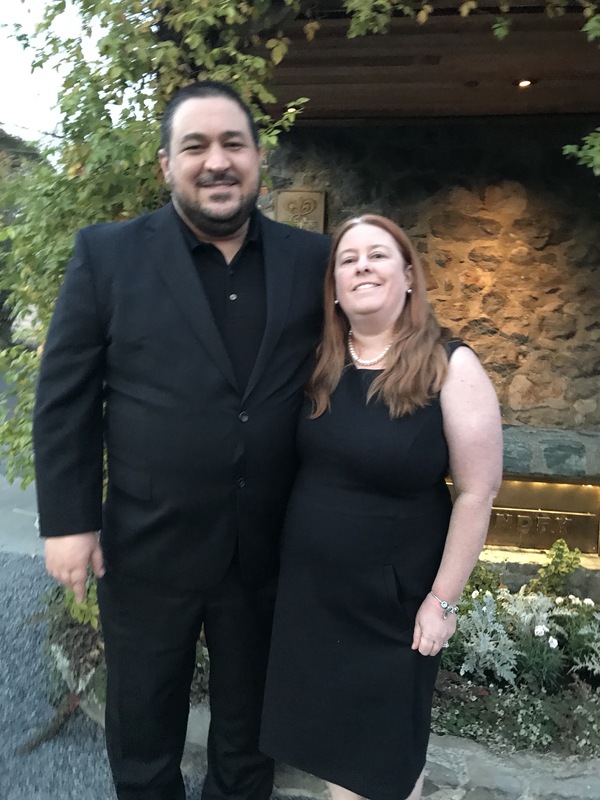 After a few photos Candy led us a few steps in the direction of The French Laundry and told Matt that his reservations were really there. He was absolutely stunned and surprised as you can see in this photo. What followed was an amazing dinner that was a feast for the eyes and taste buds. We took lots of photos and Matt made a collage of his best. 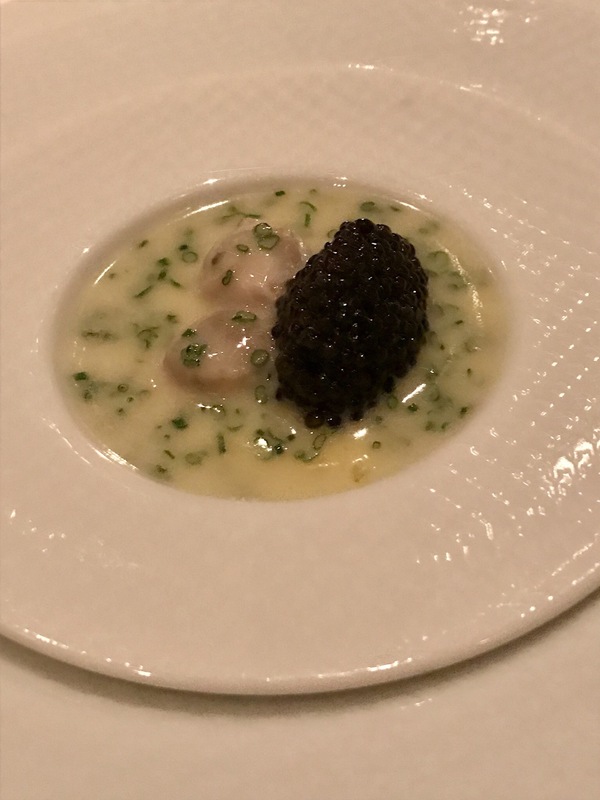 The first course of oysters and pearls was amazing the caviar, oysters and sauce set up a great tone for our whole meal. I love how the salad was made up of several intricate parts and displayed so you could see every one individually. 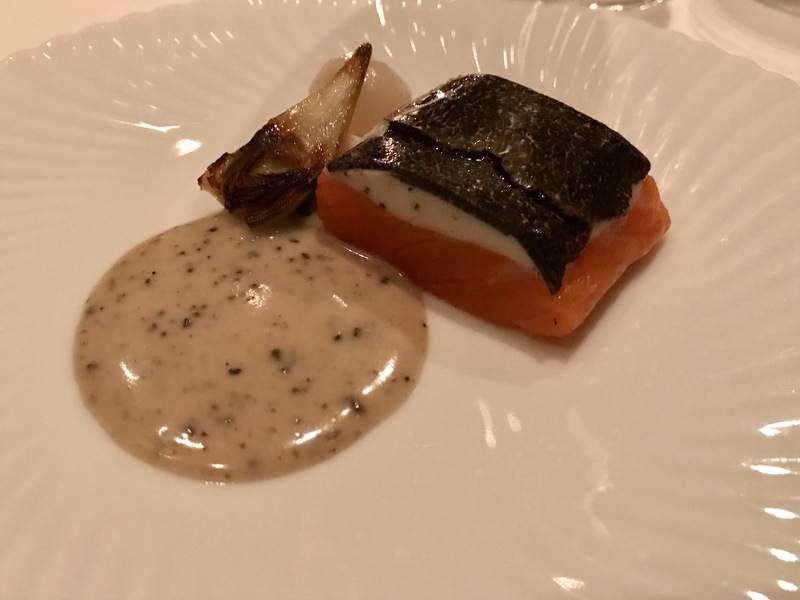 If I’d had trout before it was a nonmemorable dish. At our meal it was well presented and cooked and with all our other dishes makes the diners want more. 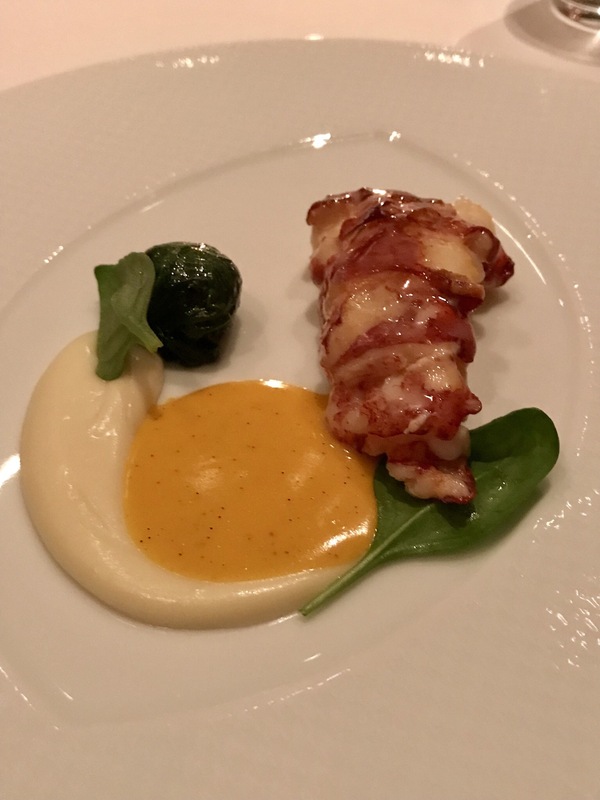 The lobster dish was one of the finest I’ve ever had. In this playful presentation the sauces were even made to resemble an egg. 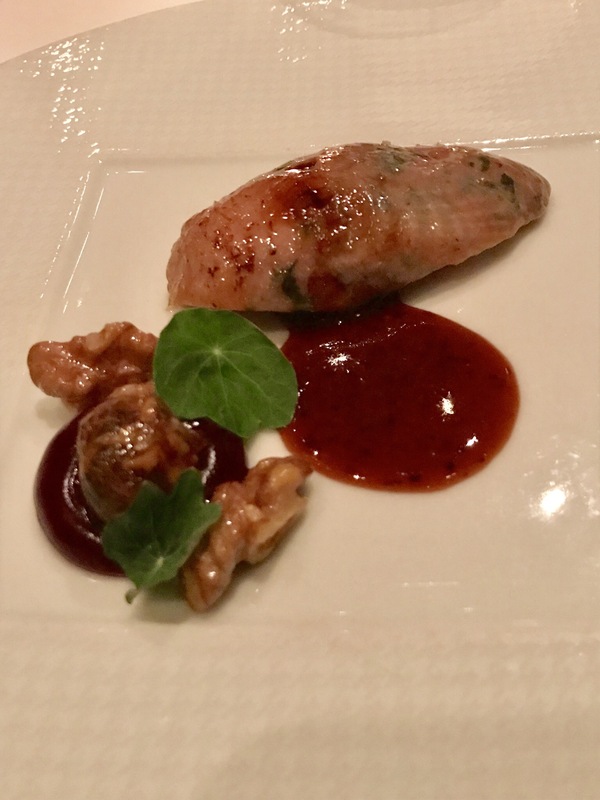 I’ve definitely never had quail before that night. It was flavorful and delicious. 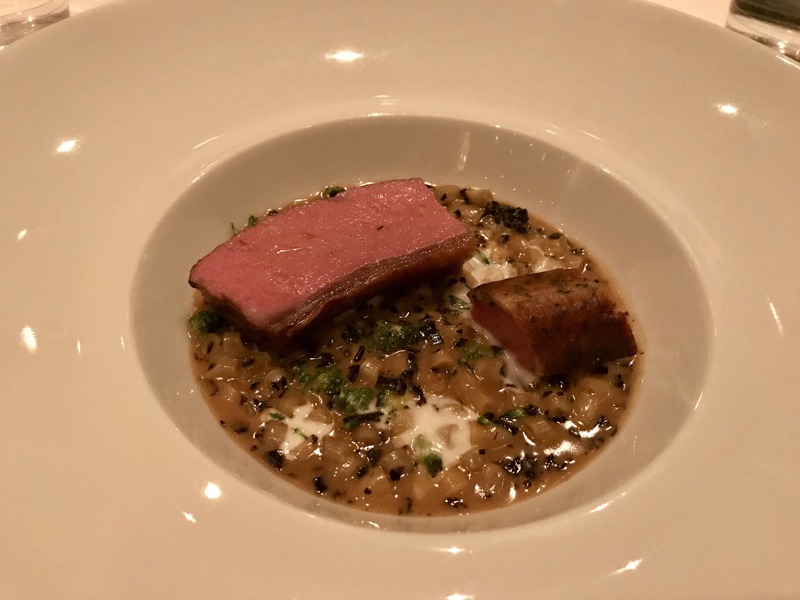 The meal included the most beautiful and tender cut of lamb I’ve ever had. 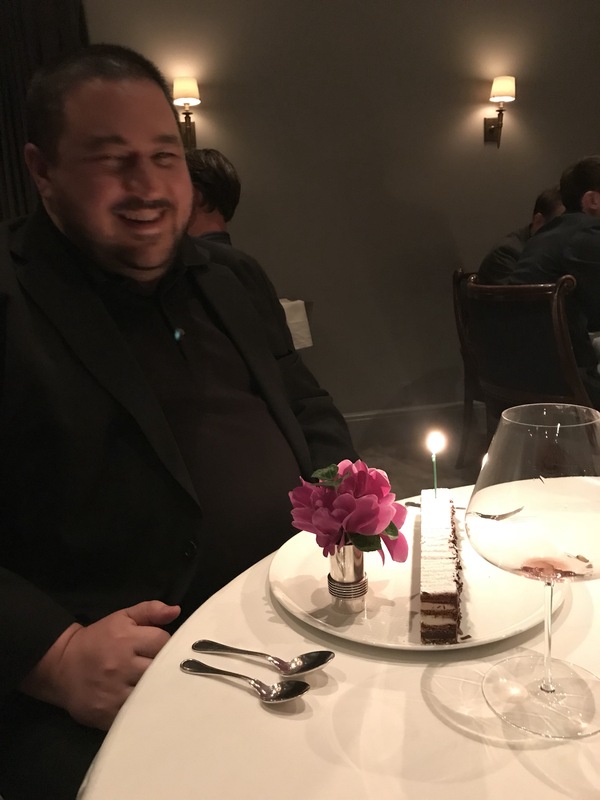 As it was Matt’s birthday, they brought him a cake with a candle. 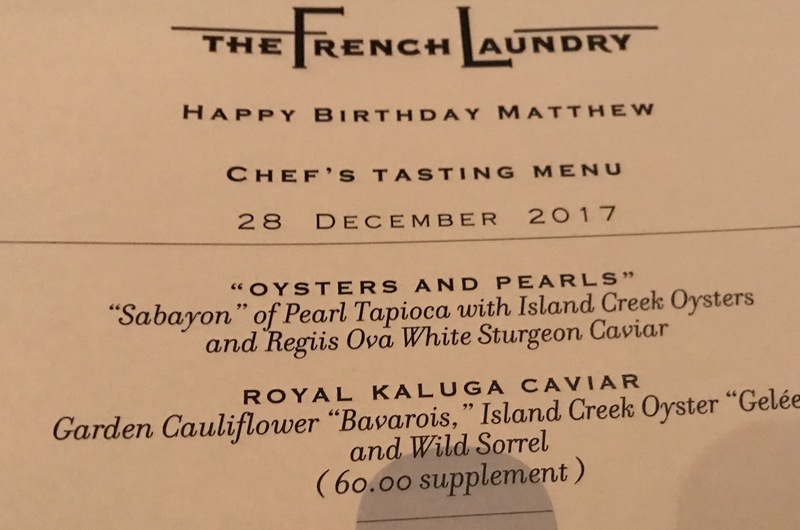 Even our printed menu had his birthday referenced on it. Matt blew our his candle and the cake was taken away to be cut into thirds. 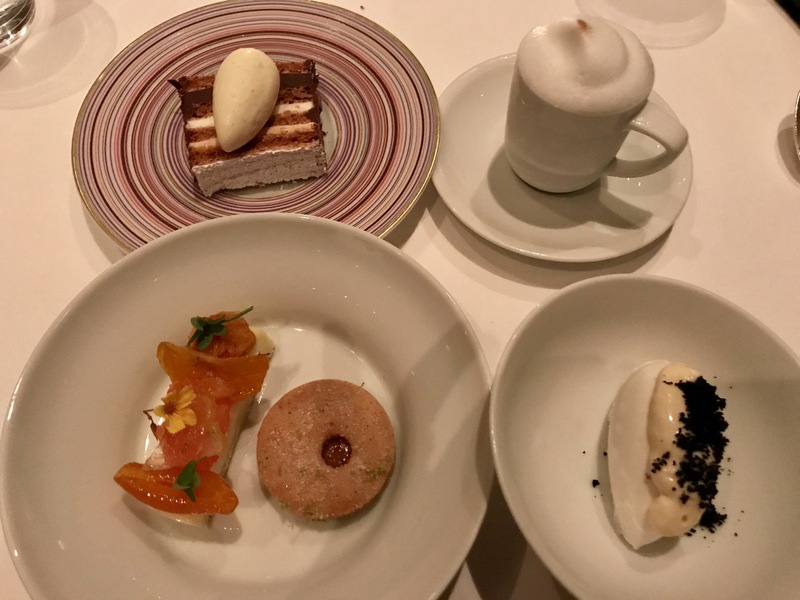 It was included in our dessert course which was very filling. 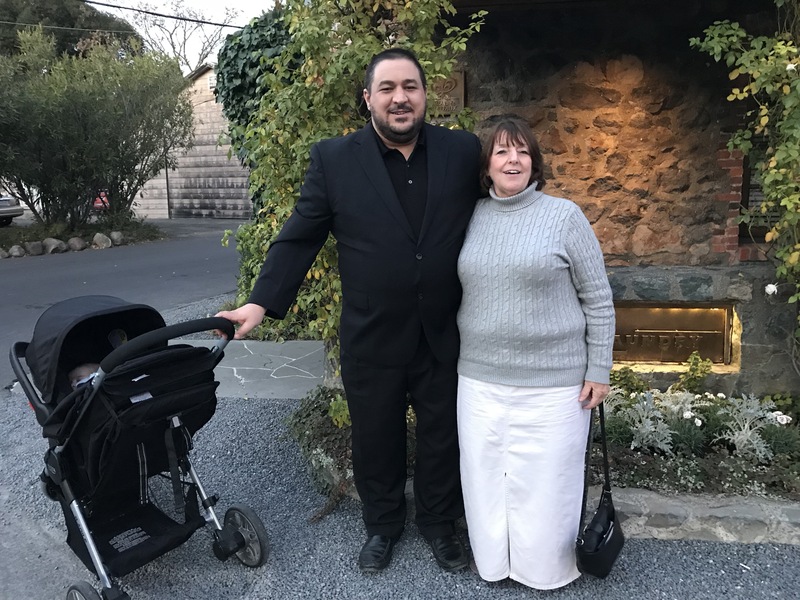 Although William was welcomed to join us, Candy had been told that he could not be breastfed in the dining area though bottle feeding was of course allowed. 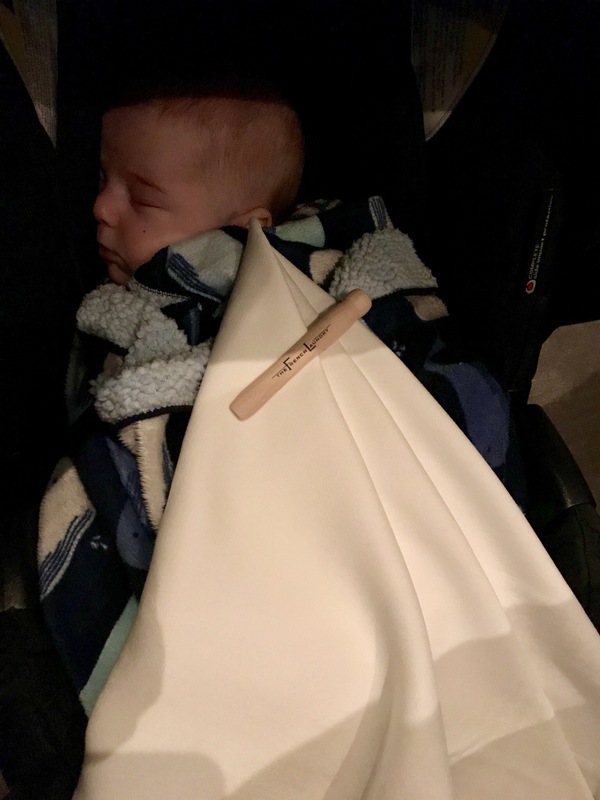 He slept through the majority of the meal. 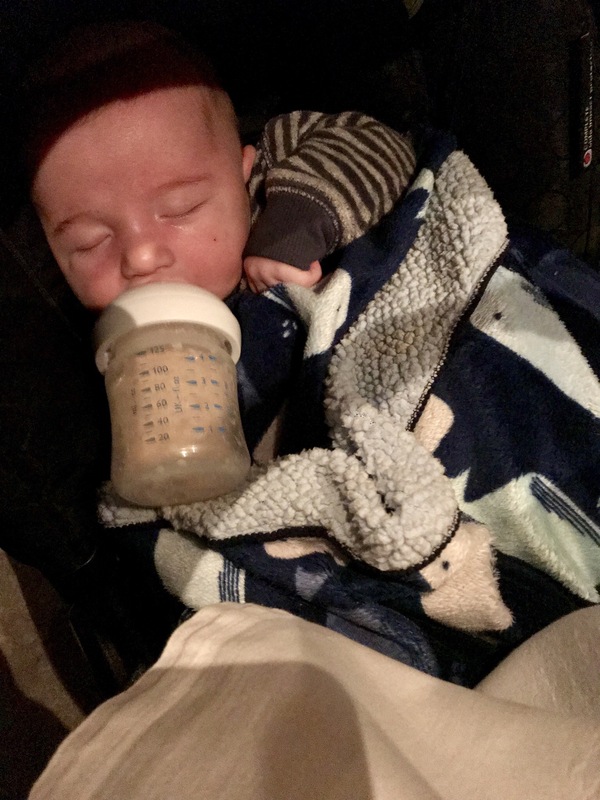 We would have had to remove him if he would not stop crying, yet as soon as he was given a bottle he contentedly ate. After dinner we were invited to have a quick visit to the kitchen. 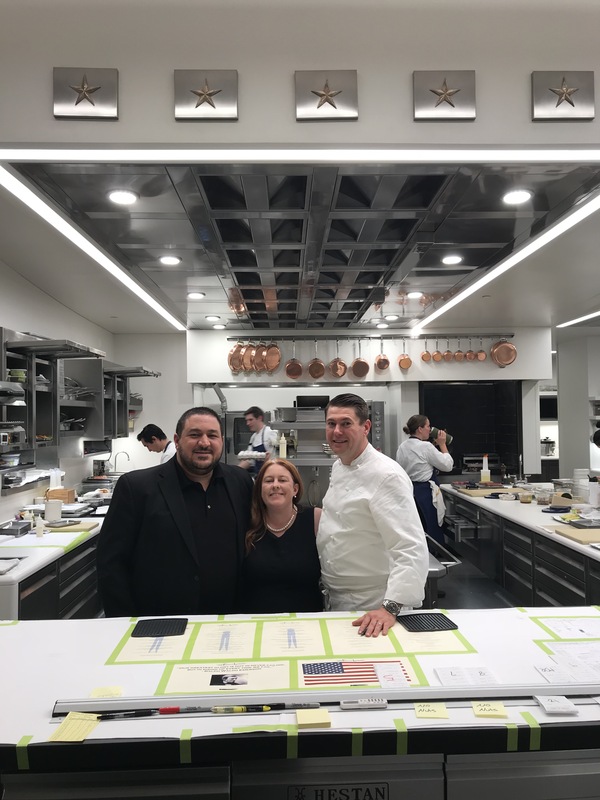 We were able to pose with the head chef for the night, who had already signed our commemorative menus. After dinner a member of the waitstaff helped us take our many things to the car. He told us William had been an angel and it was a pleasure to have him there and wished Matt a happy birthday again. 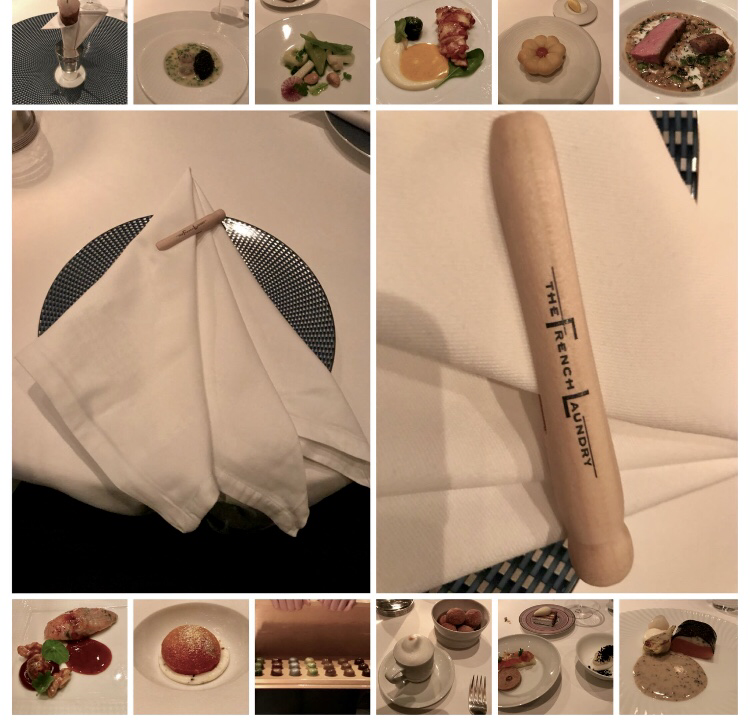 This was definitely a special meal we will remember forever.